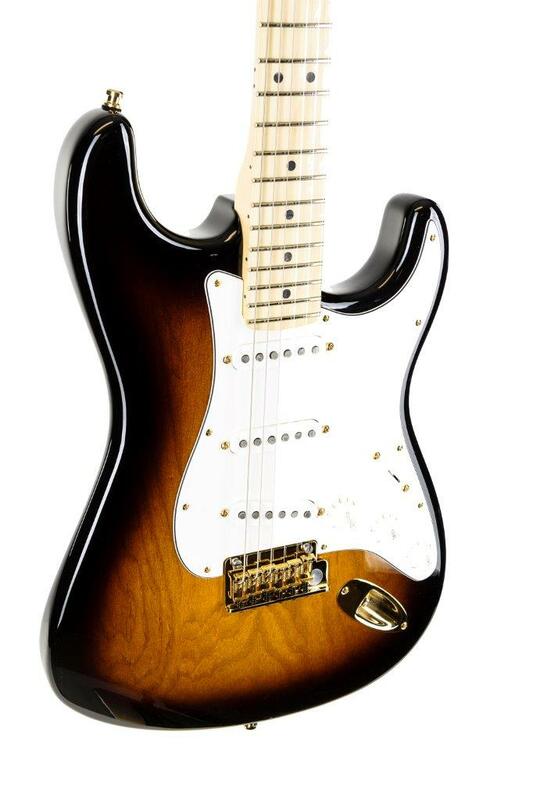 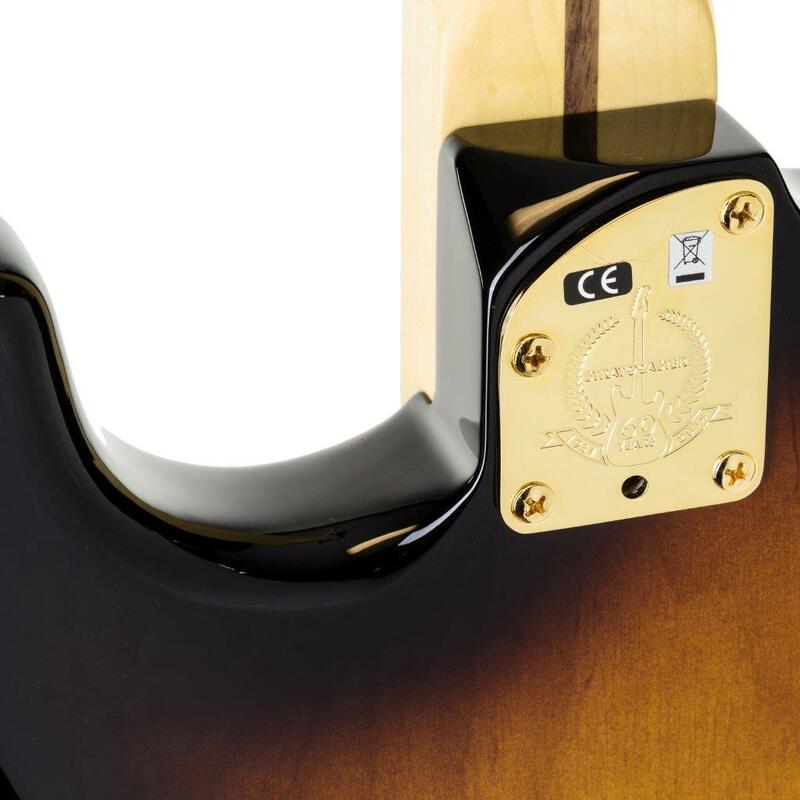 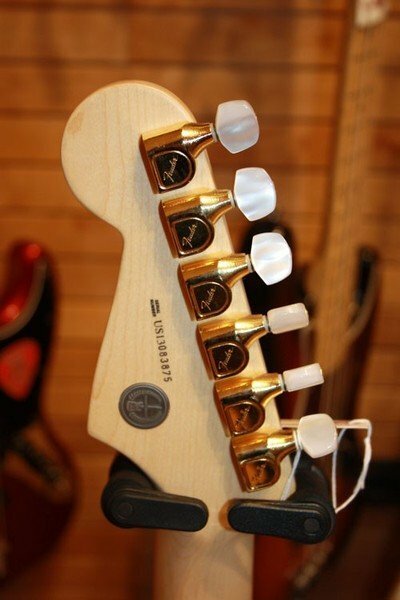 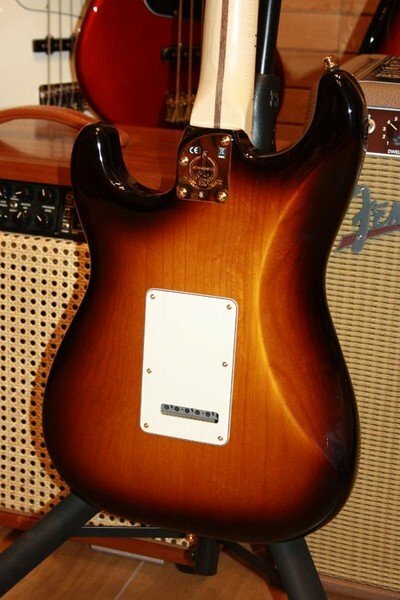 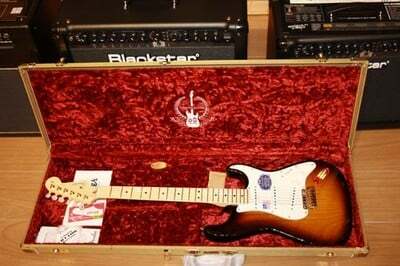 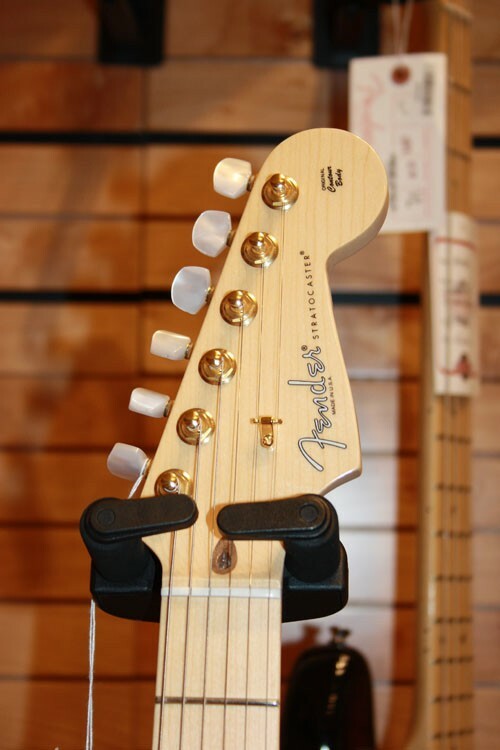 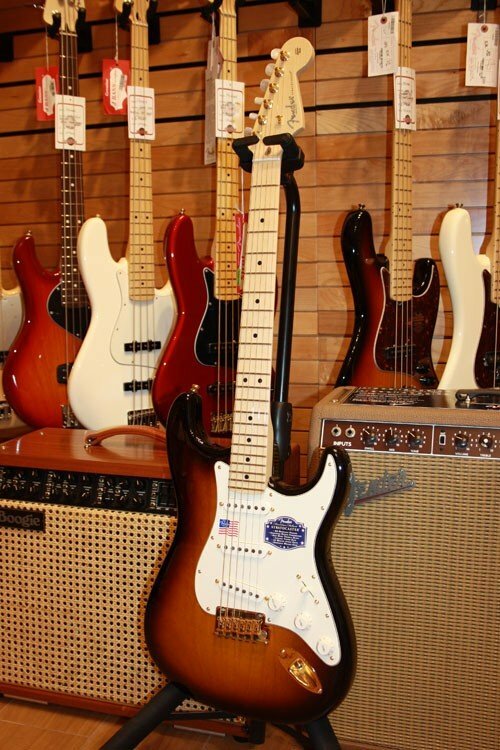 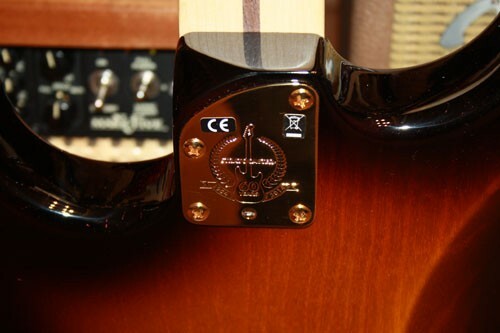 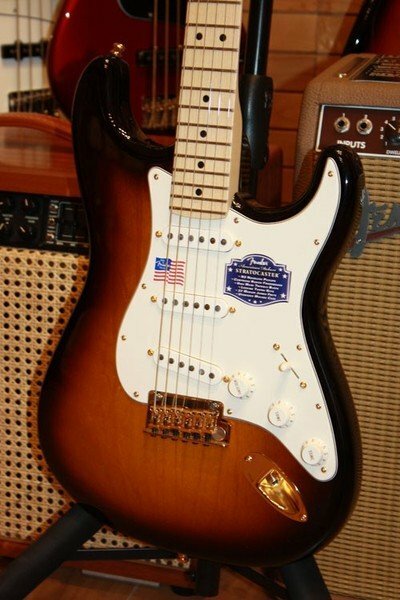 Neck Plate: Contoured 4-Bolt, "STRATOCASTER 60 YEARS 1954 2014"
Available in 2014 only, the Fender 60th Anniversary Commemorative Stratocaster is a beautifully crafted U.S.-made instrument that celebrates six decades of the world’s greatest electric guitar. 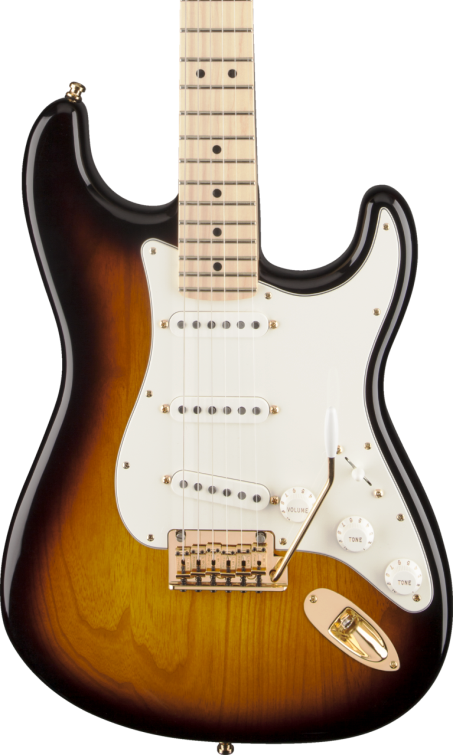 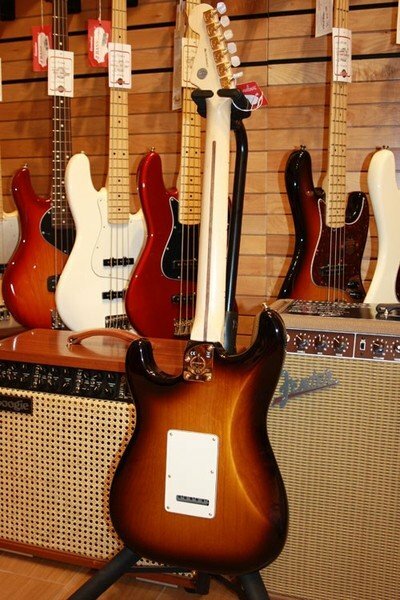 Fine features and appointments include an ash body with a comfortably contoured heel, three special-design 1954 single-coil pickups, a compound-radius fingerboard, gold hardware, custom-engraved neck plate and headstock ingot, and a beautiful 2-color Sunburst gloss finish. 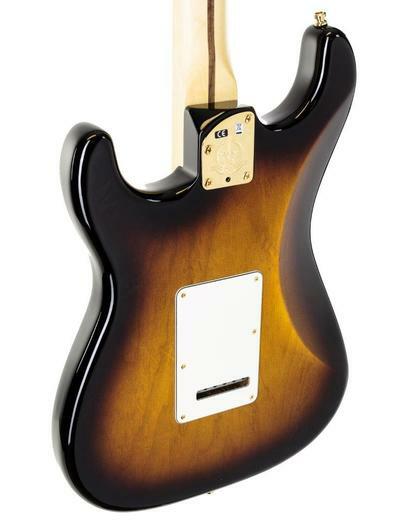 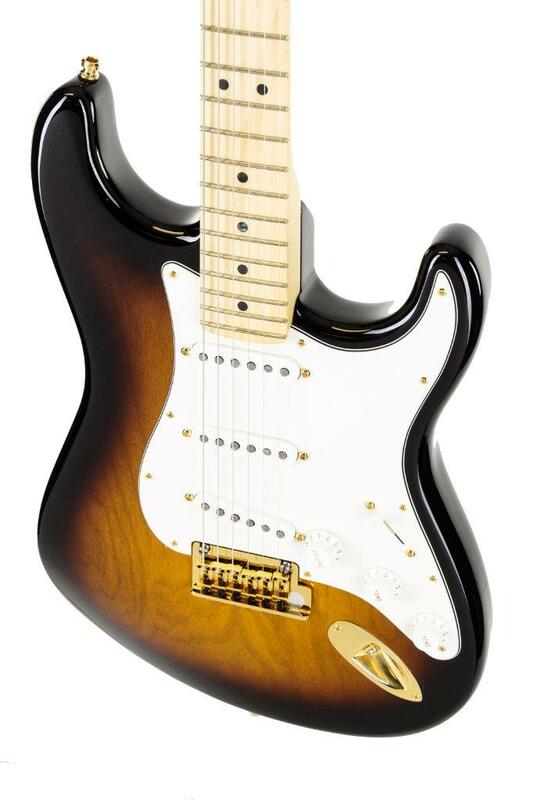 Other premium features include a maple neck with “modern C” profile and satin finish, rosewood fingerboard with 22 medium jumbo frets and black pearloid inlays, Micro-Tilt neck adjustment mechanism, five-way pickup switching and “no-load” tone control for middle and bridge pickups, two-point synchronized tremolo bridge with vintage-style stamped steel saddles, and deluxe tuners with pearl buttons. Includes vintage-style tweed case with embroidered 60th anniversary logo, strap and strap locks, cable, polishing cloth and special commemorative book.